We’re just as excited about the most recent version of Rails 5 as you are! So much so, that we’ve created a new trail for it. Ruby on Rails has remained a popular framework for many reasons: it’s great for rapid development, there is a strong ecosystem behind it, it’s highly compatible, and it’s downright fun to use. Matt Mongeau, who leads us through this trail, has been immersed in Rails for over ten years. In this course we’ll take a dive deep into Ruby on Rails 5 with a series of tutorials to help you move beyond the basics and start understanding and using more advanced Ruby. Together, we will build a Twitter-like Ruby on Rails application from start to finish. If you find that you have any questions along the way, each step has an associated forum for you to ask, comment and chime into discussions with fellow Upcasers. 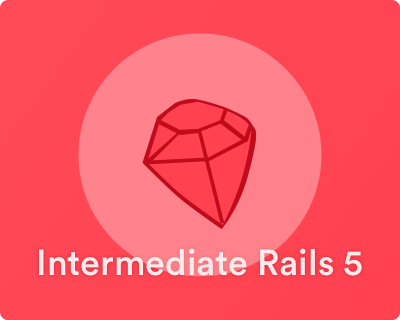 Dive deep into Rails 5: learn to build an app from start to finish with intermediate and advanced tutorials.